Nowadays, there is competition time. Everyone wants their website to appear in the top of Google. But, any website takes time to appear on Google. Because, it depends on competition, if the competition is low, your website will arrive in a few weeks, and if the competition is very high, then it can take months or a few years. If you want to bring traffic to any website, then there are two ways. 1. SEO – SEO means search engine optimization, that means write good content on your website and creating a backlink to rank it free on Google, which takes time. 2. Advertising – Second thing is Advertising, Its means by spending money, show your websites Top on Google. In this case, if you sale something on your website then the fastest way to bring traffic on it is advertising. 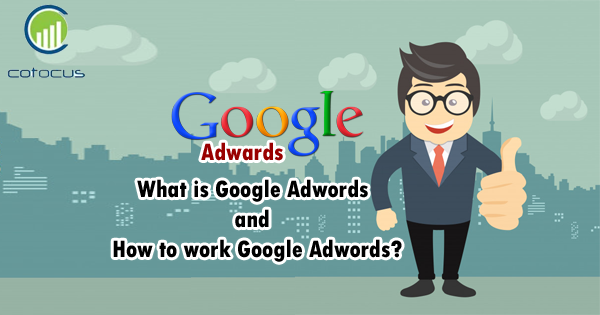 Now let’s know what is Google Adwords? Google Advertising is one of the top online advertising platforms developed by Google, where advertisers pay small users to display short advertisements, service offerings, product listings, video content, and mobile app installs for web users in the Google advertising network. With the help of Google Adword, we can advertise our websites online. Money on Adwords is deducted only when someone clicks on our ads. Nowadays, many people search for Google to buy or read anything. Like any words we use to find something on Google, it is called keyword. Search Network – Search Network is used to run ads on Google SERP (Search engine result pages), also called SEM or search engine marketing. These ads are used to target people who are searching on Google. Display Network – We display our ads on Google’s partner website on the Display ads network. These are ads display or banner ads that you have seen inside a lot of websites. These ads are used for branding or awareness. Video – Video ads means making your product video and showing it on youtube and separate video partner websites. Video ads will be shown only to the people you select. And only when the money will be deducted when they watch the video. Shopping – Shopping ads are also called PLA or product listening ads. If you have an e-commerce website, you can advertise your product on Google using PLA. Universal app campaign – With the help of Universal App Campaign, you can promote your android or iOS app. It runs on PPI model, meaning that your money will be deducted only after the application is installed. If your website is new then Google Adwords is your best option, sell your product in less time and do your branding. Google Adwords shows your ads to people who already want to know about your product. With this option, the chances of getting your conversion or selling the product greatly increase.